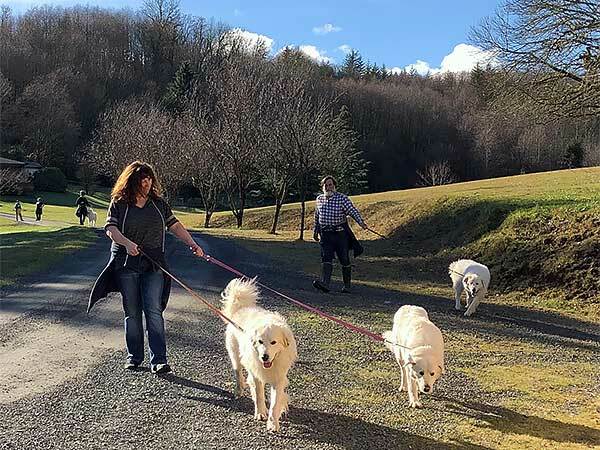 ​Shady Hill Canine Camp offers a special Kennel Area just for taking in rescue Great Pyrenees Dogs. For decades, Owner Kathy Liles has been helping these incredible rescue dogs find great homes. 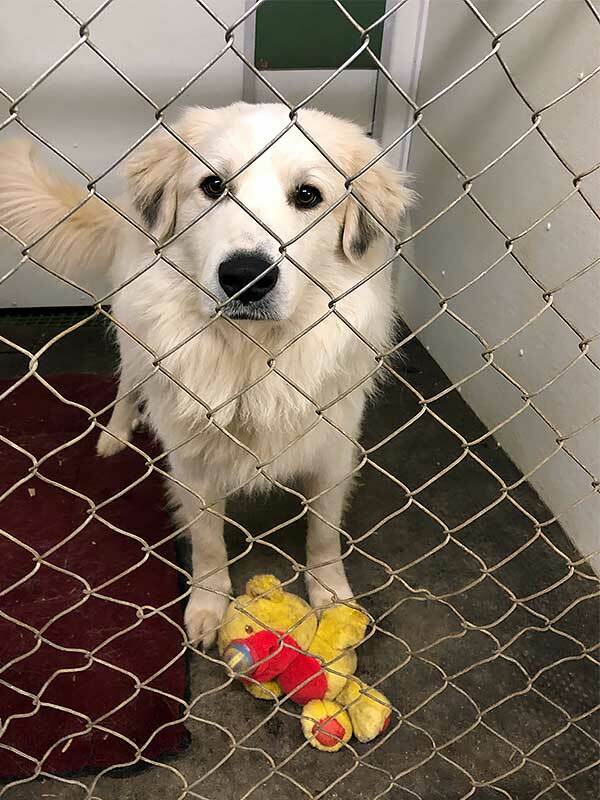 With the help of Columbia Cascade Great Pyrenees Club and it's supportive members, many of these neglected and scared dogs come back to loving life with NEW Forever Homes. Bella our free roaming Great Pyrenees kennel dog, was a rescue puppy that knew when she came to Shady Hill that she had a job she MUST do! She broke out of every kind of confined room, and then choose to patrol and keep watch over the 40 acres of rolling hills here at Shady Hill. She is always loose now and is our meet & greet staff member, when you drive onto the property she will come say HI! She is full of personality, takes her ranch patrol job seriously, and walks miles around the property all day long to make sure all is well. She is a very special member of our team, a sweet soul dog!